Is the Earth really billions of years old. 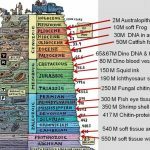 What would happen to the theory of evolution if “deep time” is simply a myth? No doubt you are convinced that most scientists endorse long ages but most scientists have no clue how the Earth is dated. REALITY: current evidence from geology and paleontology is presented to support the biblical timeline since creation.